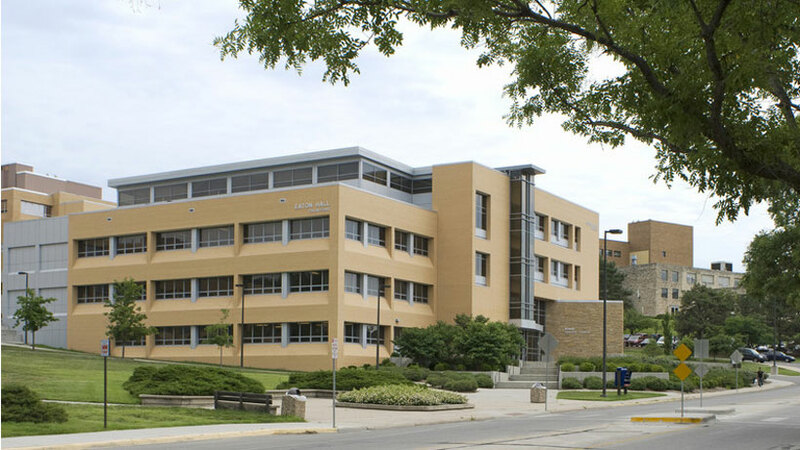 This building in the engineering complex was dedicated Oct. 17, 2003, and named for major donor Robert J. Eaton, a 1963 alumnus and retired chair of DaimlerChrysler AG. Eaton donated $5 million for the project, about one-third of the cost of the 80,000-square-foot hall, which was funded entirely through private donations. 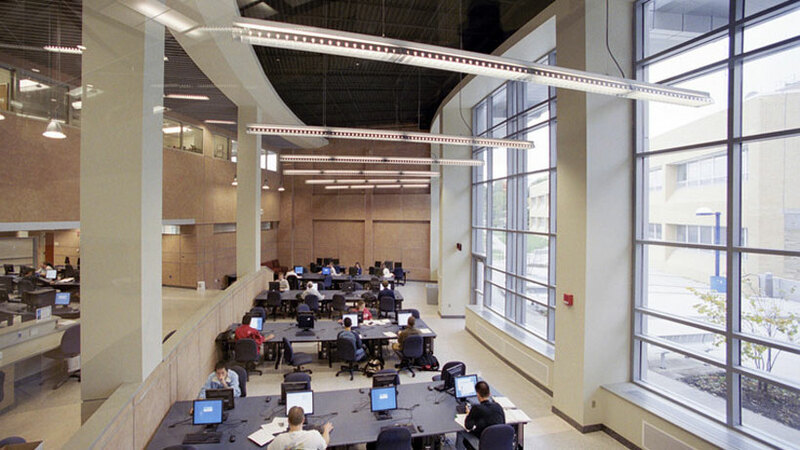 It was designed by Gould Evans Associates of Lawrence and is connected by an enclosed walkway to Learned Hall. It houses the dean’s office suite; the Department of Electrical Engineering & Computer Science; classrooms; instructional and computer labs; an atrium and computing commons; faculty and graduate teaching assistant offices; and the multimedia Spahr Engineering Classroom, which seats 250.